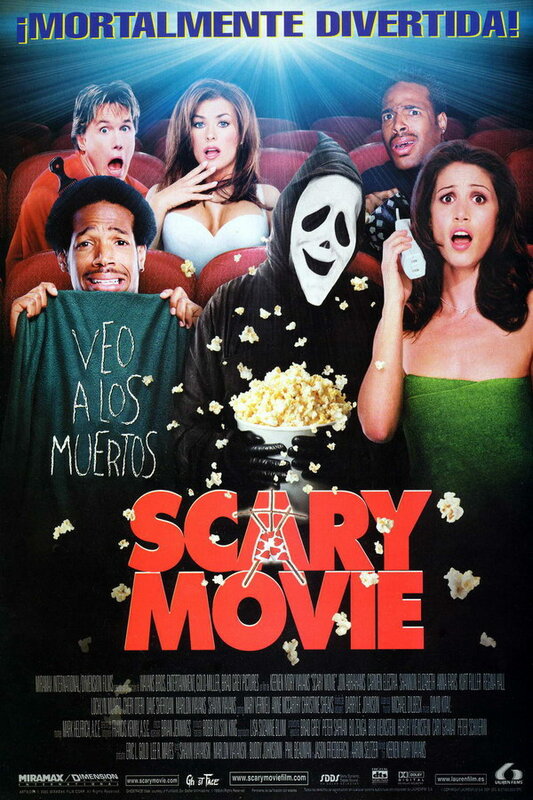 Scary Movie font here refers to the font used in the poster of Scary Movie, which is a 2002 horror comedy parody movie that heavily parodies the horror, slasher and mystery movies and TV shows in the 1990s such as Buffy the Vampire Slayer, The Sixth Sense, The Blair Witch Project. The movie title in the poster is set in Futura Extra Black designed by Paul Renner. The font is a commercial one and you can view details about it here. In addition to Scary Movie, Futura typeface is also used in the following logos, movie posters or album covers etc., including: Crush Orange, Destiny, D&G, The Wolf Among Us, Blesk, Cosmopolis, The Hundreds Logo, Within a Mile of Home, Paradise, Ninja Assassin, AIG, The King’s Speech, Krispy Kreme Logo, Big Lots, Like Someone in Love.